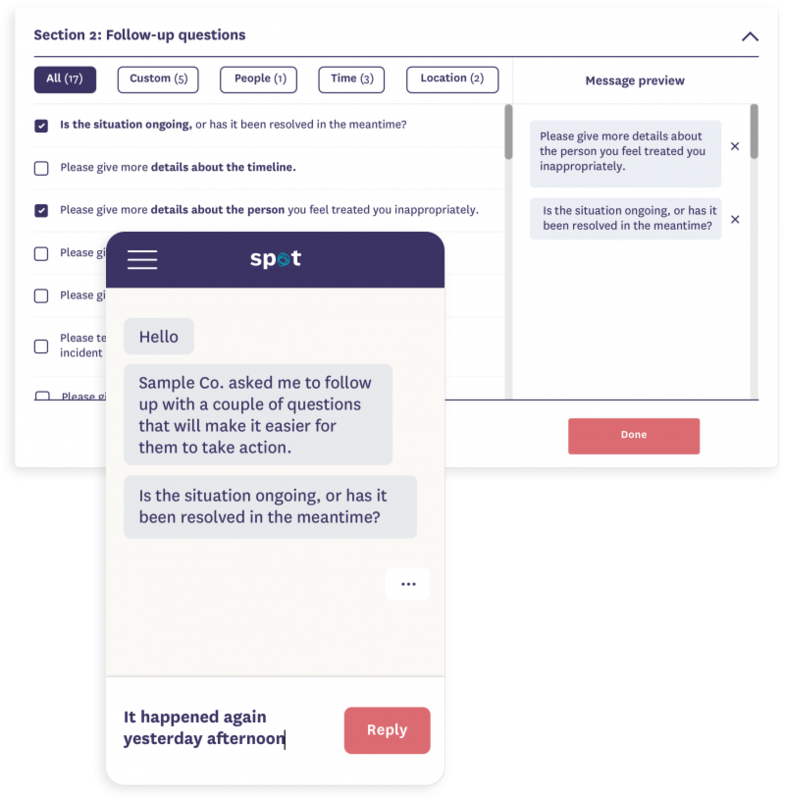 Spot, the chatbot that enables individuals to document and report harassment and discrimination, has launched a tool for human resources departments. This version enables HR departments to manage and track anonymous reports of harassment and discrimination, and follow up on those reports. Spot relies on memory science and artificial intelligence to address harassment and discrimination at work. Using the chatbot, employees can anonymously document inappropriate behavior, the ability for HR workers to follow-up, the ability to export reports as signed, time-stamped PDFs and more. Employees can, of course, choose to use their name if they’d like. For small teams (up to 100 people), Spot costs $800 per year. For larger companies, Spot offers additional tools — like custom follow-up questions, single sign-on for admins, group email and Slack notifications, and charges $2 per person per month. Spot is part of the All Turtles startup studio, which was created by Evernote co-founder Phil Libin. Dr. Shaw’s other co-founders include Daniel Nicolae and Dylan Marriott.